To ensure your baby gets off to the best start possible, Well Child Checks are scheduled for 3-5 days after birth, 1 month, 2 months, 4 months, 6 months, and 9 months. 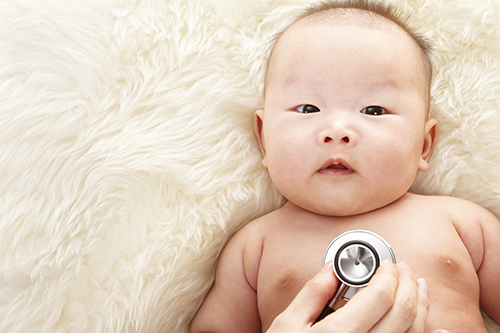 ACP encourages you to schedule all Well Child Checks with your Primary Care Provider (PCP) to ensure continuity of care. If your PCP is unavailable on your desired date/time we will coordinate this visit with a provider on your PCP's care team. Each Well Child Check in the infant age range will include gathering information about the family’s and child’s health history, physical examination (including length, weight, weight for length ratio, head circumference), developmental surveillance, behavioral assessment, and anticipatory guidance. Your child’s Provider will offer age appropriate advice and answer questions you may have. Newborns will also receive hearing, metabolic and hemoglobin screening through the birthing facility where they were born. These records will be shared with your Provider. ACP follows the screening recommendations of the American Academy of Pediatrics. We perform developmental, Autism, social and depression screening as appropriate. Immunizations are scheduled for the newborn, as well as at 2 month, 4 month, and 6 month visits. Additionally, if your child is 6 months or older and you would like your child to have an annual flu vaccine, this can be done at a Well Child Check. If your child is not yet due for their Well Child Check a Nurse Visit appointment can be arranged. To view ACP's Routine Immunization Schedule, click here.